In the latest advisory, the National Hurricane Center believes the center of Hector will remain just south of the Big Island. Hurricane Hector strengthened to a Category 3 hurricane Friday with maximum sustained winds of 120 miles per hour. It was centred about 1,010 miles (1,625 kilometres) east-southeast of Hilo, Hawaii, and was moving west at 15 mph (24 kph). Hector will bring increased surf and a high risk for unsafe rip currents to east- and south-facing beaches of the southernmost islands, especially the Big Island and Maui during next week. Hector related weather forecast impacts for other islands will need to wait until the time period gets closer. "This remains a good time for everyone in the Hawaiian Islands to ensure they have their hurricane plan in place". 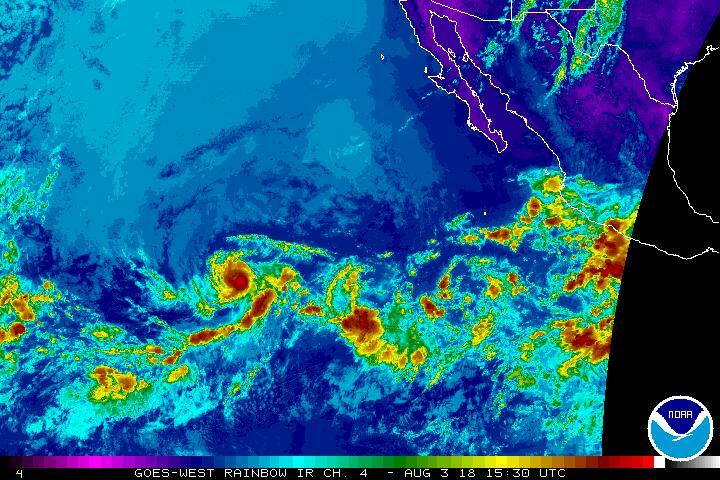 Two new tropical storms were strengthening off Mexico on Monday and both were projected to reach hurricane force while marching northwestward parallel to the coast, bringing heavy surf. Hawaii's Big Island already is dealing with another natural disaster - the eruption of Kilauea Volcano in the southeast. Kilauea volcano continues to erupt in Hawaii, and now the islands are in the path of a category 3 hurricane. So far, lava from Kilauea volcano destroyed buildings and homes causing thousands to evacuate nearby areas, but in mid-July, a lava bomb from the volcano hit a nearby boat and injured 23 people.